An exceptional development and investment opportunity has become available in Sydney's most prestigious street, Wolseley Road, Point Piper, with price expectations in excess of $3.9 million. Listed by Savills Luxury Residential and Bradfield Cleary, 'Rathdowne', 1A Wolseley Road will be auctioned on Tuesday 18 August at Double Bay Property Auction Centre. Currently laid out as three oversized apartments, there is in place development approval to develop the three existing units into two luxury apartments of 250sqm and 230 sqm respectively with four lock-up garages. Selling agents Adam Ross and Chantal Hooper of Savills noted that buyer interest had been remarkably strong. "We launched the property to the open market last week and since then we have taken over 120 enquiries. 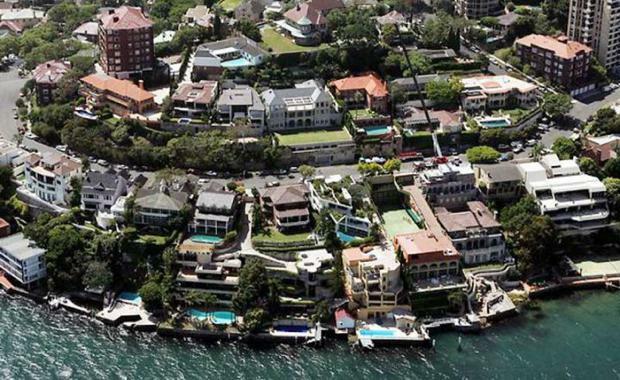 "Mr Ross believes this is the ultimate address in Australia and for years houses have achieved staggering record breaking prices. The World's Top Most Exclusive Streets', with an average price square metre of US$44,000. There is a real market out there for luxury apartments, buyers don't always want to big sprawling mansions. Downsizers, expats, affluent couples, they all want to live in the best street and in the best apartment said Hooper. This demand for luxury apartments was evidenced in two recent sales where Savills sold two apartments in the Stamford Cosmopolitan, Double Bay. The Two apartments sold for an average of $3.8m. Head of Savills Luxury Residential Shayne Harris said, "This is an extremely rare opportunity to buy in a globally recognised street and have the opportunity to either capitalise on the approved plans or current return or for a home owner who is seeking more than two or three residences. "The three tenanted units collectively have a gross annual revenue of $135,616 and three lock up garages.